Earlier this week I attended a super interesting public event that was part of a conference entitled “Women, Language(s) and Translation in the Italian Tradition”, organised by the University of Cambridge. Although it doesn’t take much to lure me away from my desk for any translation-related event, I was particularly excited about attending this one. It was a talk followed by a concert! And not just any talk for that matter. Professor Jane Tylus (Yale University) talked about her recent research connecting music and translation, more specifically translation and musical accompaniment. As in my formative years I was very much involved in music and had the chance to act as a piano accompanist to violinists and singers, and well… now I do translate for a living, I was curious to hear what Professor Tylus had to say about this topic. She started her talk with a lovely excerpt by Lucrezia Tornabuoni, 15th century writer and political adviser, who translated the life of Tobias into Italian. Tornabuoni starts her work with a prayer asking God to send her something like the angel of translation to accompany her on her translation journey, just like Raphael provided companionship to Tobias on their expedition. Funnily enough, the Italian word for translator, traduttore, originally meant “to lead over” or “to carry over”. Much like a companion on a long journey, right? From here, it takes just a small step to arrive at the notion of the translator as an accompanist or, if you like, the accompanist as a translator. Professor Tylus is at the very beginning of her research into this, but I am really excited to see what conclusions she will draw once it’s complete. The concert afterwards perfectly complemented her talk. It started with an excellent Bach solo piece, originally a Partita for violin in D minor, which the performer herself, Joy Lisney arranged for cello. (Ha! Finding similarities between translation and musical arrangements could also be a great topic!) After the Bach, we went on to a beautiful Chopin Cello Sonata performed by Joy Lisney and Naomi Woo. Last but not least, the evening was concluded by Brahms’ Clarinet Sonata in E flat major, performed by Caroline Grint ad Naomi Woo. I very much enjoyed the individual pieces and liked the concept of the whole concert, too. By starting the concert with a solo piece then continuing with two pieces accompanied by piano, the organisers invited the audience to think a bit about the relationship of the soloist and her accompanist. How do they work together? How does the accompanist help the soloist in her performance? And also, how does this all relate to translation? During the concert I thought about how translators and accompanists are related. It’s true, their roles might be traditionally regarded as secondary to the main attraction. And sure, they don’t always get the same attention as their soloist or their author. However, I do think of them as partners, rather than just some extra help that makes things less awkward or strange. They both bring real value to the table and they are just as talented/educated/skilled/experienced/etc. as the soloist or the author, and without them, something would be truly lost. They both deserve credit and appreciation! They really do! Ok, before I get completely overexcited about the role of these two, I’d like to ask you, my dear readers: what do you think about this? Is there anything similar between translators and accompanists? Or translation and music? 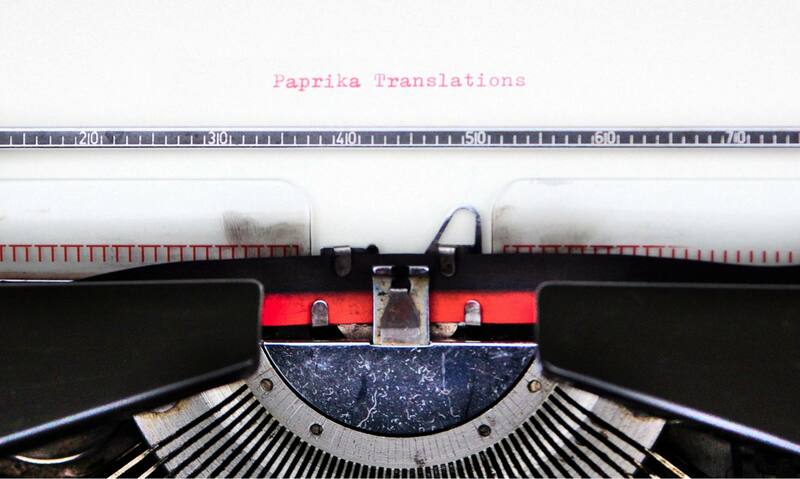 What would you compare translation to?